relax just a little. 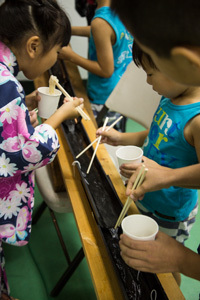 Japanese have more than just Sundays to spend some more family time. One of the ministry models that has proven so effective has been the “VBS” one. Not only has this reached our community effectively, but through “Operation Safe”, a vision of Pastor Jonathan, this style of curriculum has been packaged in such a way as to effectively minister the Gospel during disasters. By providing a safe place for children, parents can address the issues of the effects to property and lives. 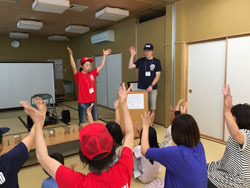 Churches and other non-government organizations have been trained all over Japan as well as other places like the Philippines, China and Korea. July, a massive amount of rain fell to the south of Japan’s main island causing extensive flooding. Belinda drove over 4 hours down with another church missionary to bring Operation Safe supplies and materials for a local church training. While there, they were able to participate in the volunteer clean up of mud left from the disaster. They spent several hours in near 100 degree temperatures (41 celcius) with a team of volunteers filling bags with mud and then loading them on a truck to be hauled away. They filled the truck with large bags of mud at least 6 times! Because of the extreme heat, all volunteers were under strict order to work a maximum of 20 minutes and rest for at least 10 minutes. It was a great experience working alongside the people of the community, who continually expressed their gratitude for our help. All this ministry here in Japan is founded in the church “at home”. For us, until God moves us on, that is Ome, and God has had us focus on the body here as a foundation to reach the rest of this part of the world. 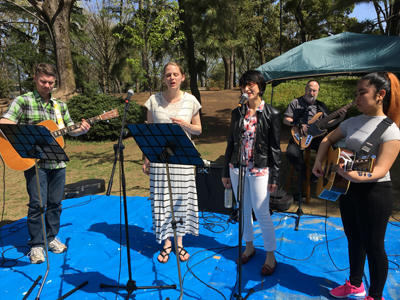 We partnered with a ministry this year to come alongside a Calvary Chapel pastor and his wife ministering in Higashi Matsushima, an area hard hit by the earthquake and tsunami centered in Tohoku. Belinda and 3 team members traveled there and ministered to about 20 children. This is one of the many areas barely reached with the Gospel. 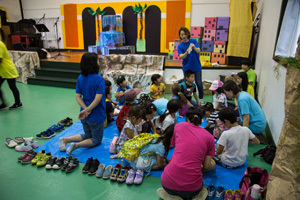 At our VBS here in Ome, we presented the Gospel to over 50 children this year. 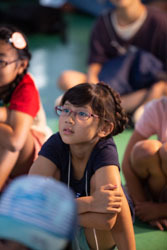 We have been here long enough to begin to see children who had previously attended VBS, grow up and become team leaders now to the next generation of kids in our community. This is how ministry is supposed to work! By now we think you get the picture. We often start with materials from organizations in the USA, but everything has to be translated and tailored to Japanese speaking culture. 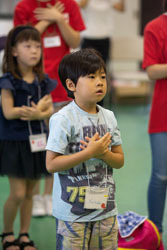 One example of that is the songs we teach the children. Usually we get tracks with vocals, but they are all in English. One example of the effort it takes is to take the instrument tracks and after translating the songs into Japanese, we use our own talented people to re-record everything in both languages. 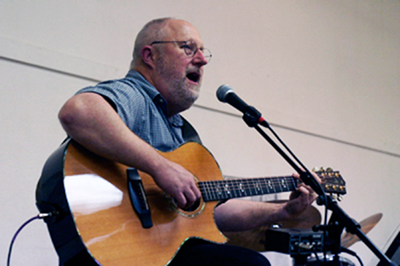 John produces all these songs and gets them ready for use in VBS events. This process takes weeks to complete but the results are an extremely effective tool in communicating God’s Love and purpose to these children. We so often reach the parents through the children. Parents either watch their kids enjoying the event or the kids bring the music, materials and crafts home where their parents see it. 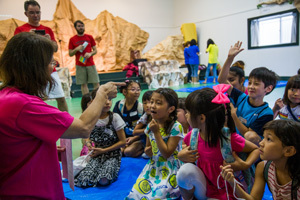 Many of the parents and families who attend our church first heard the Gospel at one of the summer VBS events. Ministry is ongoing on a personal basis as we keep our “Spiritual Antennas” tuned to others. One example is someone we mentioned before named Eduardo. We met him at Costco of all places. He is married, (and struggling in his marriage) to a Japanese woman. There are three children involved. He has received Christ and now seeks to see his marriage saved. Please pray for him and his family. This is an opportunity for God to be glorified in a way that will impact many others. Belinda has been leading a women’s prayer group every Sunday to pray specifically for prodigal children and unsaved spouses. Ladies who previously found it too difficult to commit to a regular weekly prayer group have been joining her consistently as she personally invites each woman to pray each week after the service with her. She has also been able to meet individually with 3 other women for prayer on a weekly basis. One vision she has is to get these Christian women reaching out to the community through a “Christmas Tea and Cookie Exchange”. 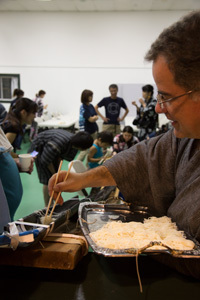 This is not a typical event in Japanese culture, but one that could have an impact in our community as we can invite many non-Christians to attend. Something to pray about! 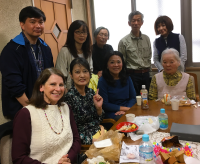 The assistant pastor, Tom Cotton, and his wife Chika started a Sunday afternoon English Café where we can invite local Japanese to have English conversations with native speakers (us) and enjoy coffee, tea and snacks. We pray for God to guide the conversations to Biblical topics and the gospel. Each week we have at least one or more Japanese come. On occasion, some have stayed for the Sunday evening worship service held afterward. It’s been encouraging and exciting as of late to see the attendance to this format of outreach increase. 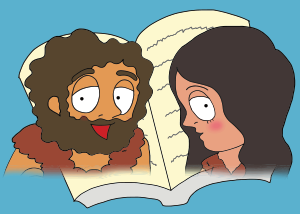 children’s ministry materials for teaching the Bible. But what is “Kamishibai”? The reading “kami” can mean a few different things in Japanese. 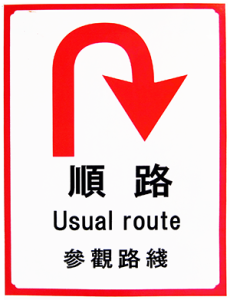 You say “kami”, but the kanji (the pictogram) can be one of several kanji. 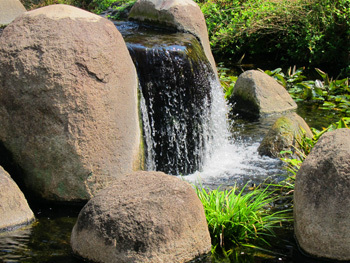 Two of the different kanji can represent “Paper” or “God”. 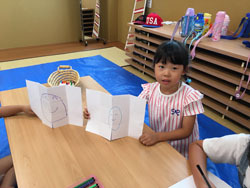 “Kamishibai” means a story told along with drawings. 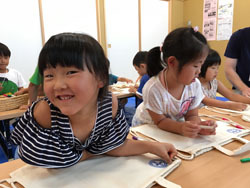 We are creating a website called “kamikamishibai.com” which is like a Japanese “play on words” meaning “Story of God with paper drawings”. She has, as mentioned, created hundreds of images, texts and resources to go with this children’s ministry resource. John is building the website and converting all the resources to be ready to distribute via the web. This is a huge undertaking, but blessing and fruit it has produced here in our church will be spread across Japan for other Japanese speaking ministries. We have had several new people attending GCF in the last month and they are ministry minded people – Yay! For Belinda as the new school year begins and for continued opportunities to minister to parents and students. For the children and parents who heard the gospel at VBS this summer. We want to thank you again for all the prayer and financial support over the years. Some of you have been supporting us the entire time we have been here. 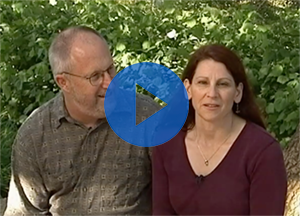 We just want to say how encouraging your prayers, support and personal email mean to us. THANK YOU! and God bless you richly. This entry was posted in eNewsletters on August 26, 2018 by jmcbade. God might have done all this more simply, but He didn’t, yet we are “without excuse”. I like to open our newsletters with something from the Word and consider how it might apply to our lives. I am not wanting to give a complete Bible study, but to offer some “food for thought” that might bless you, who read our newsletters, with some little blessing. On many an occasion, some have written back and thanked us for these little “moments with God”. And that, dear friends, is the intention, to hopefully offer one of those moments. This one is a bit longer than usual, but I think the time and space are well worth considering. I have been looking at the idea of “why did God put us in all this wonder and complexity” of His creation? This is by no means a new question or thought, but it has come up a lot here lately in ministry and teachings. Some view His creation simply as “Art”, and His creation is there to simply honor Him and bring Him glory. “I’m happy just to look at the beauty and love this God-poetry He made for me”. There’s nothing wrong with doing that and the idea that God is above, and the creator of all that we experience is indeed, a unique glory that brings God due wonder and praise. Man, being a small reflection of God, enjoys creating and enjoying all kinds of wonderful art forms. Art moves our hearts in ways not every living creature can appreciate, yet His “song of creation” and His “Poem of deep emotions” are everywhere to be considered. Honestly, as a musician, writer and artist, I totally get that view. I am also one who has always marveled at man’s effort to understand God’s creation. I have always, like so many others, looked deeply into the disciplines of physical sciences for example. I loved to discuss these concepts with my instructors and peers. We so often get it only partially right, or even totally wrong, as we strive to understand. Even if we get so much “wrong” in our understanding, the Bible is clear we only “know in part”, yet we are to continue to look “to the author and finisher of our Faith”. So, who has it right in all this? Surely not the pantheist, for God warns not to worship the creation. 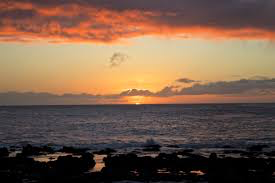 When I look at the sunset, I wonder at its beauty, the awe, the poetry and the workmanship of God’s mighty hand. At the same time, I equally wonder at the miracle of the air that light shines through, and how marvelous it is that I can breathe it to stay alive. I can’t help but take God’s Love for me personally. God could have just stuck me in some cosmic petri dish without any ability to have awareness of the agar that sustains me. Instead, He created me with the senses and awareness to explore this wonder in which I find myself and, in doing so, learn more about who put me here in it in order that I might know Him all the more. If I don’t take time to do both; read “His Love letter to me” and “basic instructions before leaving Earth”, as well as explore this creation He made for me, I might well miss out on something hidden between the pages He left there for me to discover. I believe the man of God can do both while remaining Faithful to his creator, and He fully expects us to do so, or He wouldn’t have gone to all this effort that I might know Him all the more. If we don’t look at the “whole picture”, are we without excuse? Events: We continue to be completely busy in ministry here. 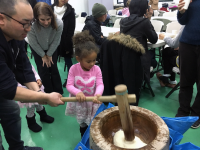 Each newsletter we try to highlight some things that are happening concerning the ministry here in Japan. This past few weeks has been full of ministry – even with what we call “Spring Break”. We seem to just as busy during this supposed “time off”. 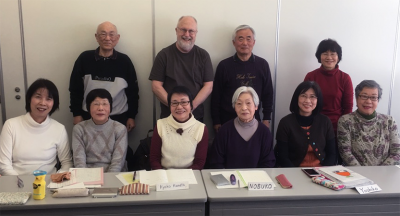 In our last newsletter, we shared an image of John and his English class in Hamura, a city just up the tracks from us about 10mins away. He has been teaching this class for about 4 years now. 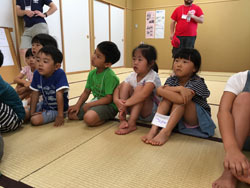 It’s important to realize that these classes, while providing a bit of income for living here, also play a key role in interfacing with the community and learning more about the culture of Japan. This can only happen with the continued process of interacting with the Japanese people – especially outside the “church walls”. When we teach these classes, we also invite students to our church events and some of them do come. We feel a very real friendship with our students. 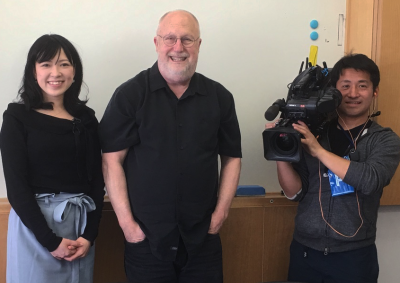 TCN, a local TV station visited the class and filmed a little documentary on the class there in Hamura. One of the students gave us a DVD with a recording of the program. 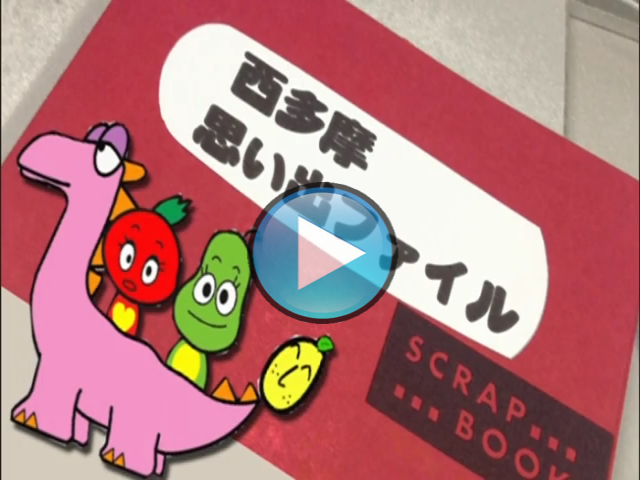 Here is a link to the clip from the show where the Hamura English class was shared. Easter week affords the opportunity to again reach out to our community. Throughout the week we have special services focusing on Easter. This year the Pastor was away on a trip for other ministry work, so he asked John to do the Thursday evening “Communion and Foot Washing” service. Usually we take lots of pictures during that service, but the “camera man” was busy teaching! It was an intimate service, but this tradition is one of the truly meaningful focal points in the Easter Story. John shared a comparison of traditions and prophetic aspects of the Jewish Passover with their fulfillment in what we Christians traditionally call “The Last Supper”. As you know, a large part of serving here at GCF for John involves all things Web and other “IT” roles. It’s important to keep the Church, the school and other projects up and running. It’s a blessing to be able to use skills from past employment to support ministry here. From Belinda: I also had the rare opportunity to share the gospel outright with my English class, where discussion of religion and politics is generally not allowed. At the beginning of each lesson I have a written dialogue which I read aloud and my students repeat, and then read it out loud with a partner. The week before Easter Sunday I used a dialogue focused on the death and resurrection of Jesus Christ. The very detailed and scriptural dialogue was repeated over and over in the classroom by every student (all over the age of 65). What a joy it was to hear the name of Jesus being spoken aloud in a room full of Japanese Buddhists. God is good! 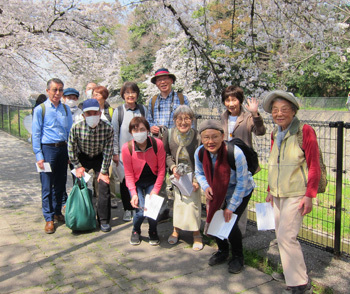 After our lesson on the true meaning of Easter, the whole English class went on an excursion of cherry blossom viewing, or ‘Hanami’. 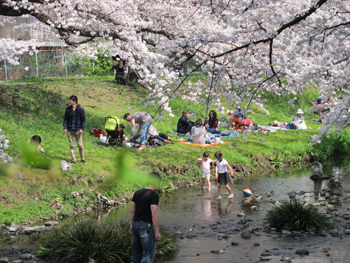 Hanami is a very important and enjoyable tradition, in which families and companies alike gather together in groups throughout Japan to walk and picnic under the fully bloomed cherry blossoms. 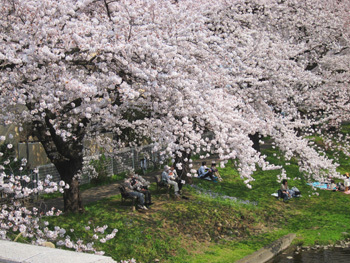 But despite the abundance of beautiful blossoms, these trees produce no fruit! Pray for true fruit amongst the Japanese for whom we labor. 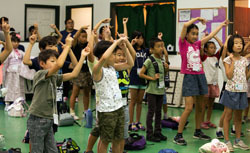 You are part of our ministry in Japan! Please, if you have comments, encouragement or you would like to share a prayer request with us, please take the time to write. 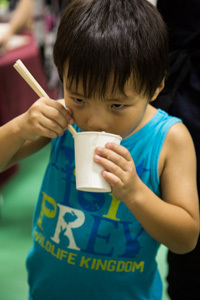 If you know someone who would like to get our eNews, they can sign up at mcbade.com anytime. We LOVE to hear back from you! This entry was posted in eNewsletters on April 16, 2018 by jmcbade. A couple of weeks ago we were eating dinner at our favorite ramen shop. We have been visiting there from time to time for over 12 years now. How time flies. It was near to closing time so there was only one other customer. As we rose to leave, both the shop owner and his wife came out from the kitchen with something very important to tell us. 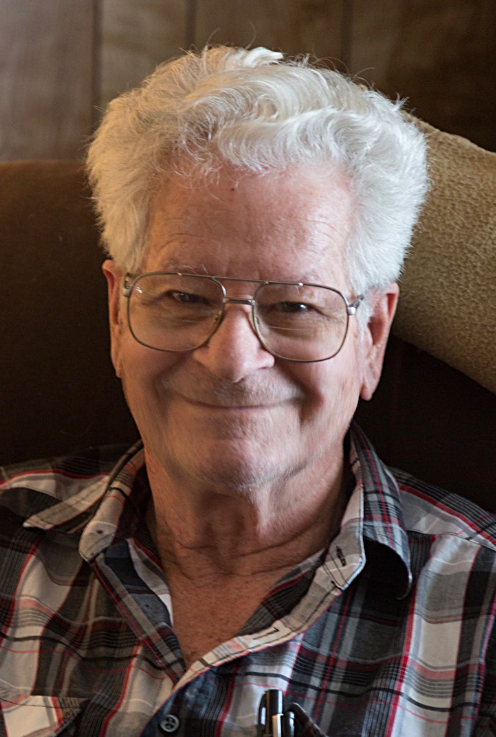 With a huge grin on his face, he told us that he now had Jesus living in his heart; that he and his wife had both received Christ as their savior that very week. We were so excited and happy for them and, in our limited Japanese, tried to convey our joy at their news! Even though we were not the ones to directly lead them in prayer for salvation, they were eager to share this with us, knowing that we were Christians and had through various means tried to be a good witness to them. They were also quick to share that they would soon be closing the shop on Sundays, so they could begin attending church. The following week, we brought some friends with us to the ramen shop. Chika, a young Japanese woman and part of the church here, asked the shop owner for his testimony. He shared that he had been extremely depressed and didn’t want to live anymore. As he thought about this, he picked up his son’s children’s bible book and saw the cross of Jesus. He called a nearby church and the pastor met with him and his wife, and there they both received the gift of salvation. Please pray for this couple as they begin their new life in Christ, and pray for their children also, that they would see God’s work in their parents and would desire to know Jesus also. They do not yet attend any church but will be visiting our fellowship sometime this month. John and I both teach English classes during the week. This not only helps with our financial needs but is a great opportunity for us to work directly with unchurched people in several different communities. 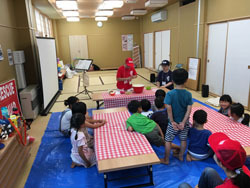 Teaching English has given us many opportunities to invite people to visit the church for services and special events. In this culture most Japanese will not visit your church unless they are “invited”. We never “push” but we always make sure people know they are welcome. We are all for missions that may include some response to a disaster, physical and other needs. In many places that might be the way the door gets opened, but at the end of the day, it’s all about bringing people to Jesus without “strings attached”. We never want anyone of the people we minister to here to feel they “owe us something”. Sometimes the best ministry is simply being there for the long haul. To be there long enough to earn trust. To be there through good and bad times. To be examples of people who know Christ in such a way that they can know him too. 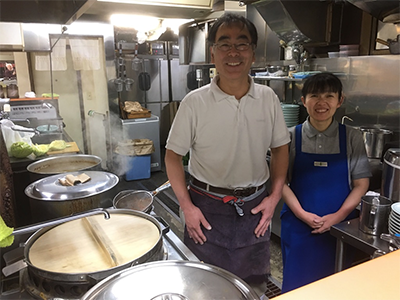 We have known the owners of the ramen shop since we moved here. We have exchanged gifts sometimes and we have not been secretive about why we live here. We are “senkiyoshi” “missionaries”. And then just be there to love on them and be part of the community. When you look at how God indwells the believer and how He just wants us to be ambassadors in all the earth, it makes since that sometimes the very best, but by no means, the very least we can do to share the Love of God with others is to “show up”. I guess I am going to be in some kind of local news. I am not sure of all the details but two different classes I teach both informed me that some new people were going to audit my English class. Today, one of the classes included these special guests. It was really fun having them be part of the class and experience first-hand the great fun we have in our classes. The other class, my more advanced “business level” group will be filmed in April. Do your best to come before winter. Eubulus sends greetings to you, as do Pudens and Linus and Claudia and all the brothers. 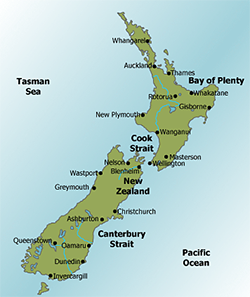 I’m headed “down under” to New Zealand for one week in June. I was invited to come to a very special men’s retreat called “Come Before Winter” – a “ministry to missionaries”. Belinda attended the women’s version this a couple years ago and it was really an uplifting experience for her. She and I are actively praying and seeking God for “what’s next” in terms of ministry here in Japan. 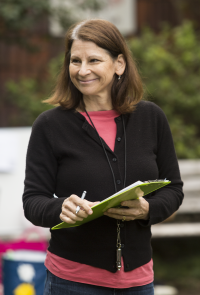 This retreat is designed as an in-depth process of renewal and renewed vision. It’s not a typical retreat but is designed for people who have been in the ministry for a while and are seeking an intimate time of teaching, prayer and, fellowship in with a goal getting away from the “storm” and seeking God. The hosts only accept 48 attendees and only after a very in-depth application process. The retreat is paid for by the ministry. I am responsible for my transportation there and back. Everything else is provided. Belinda and I, after praying, believed that this is a spiritually healthy investment and we are trusting God to provide for the plane fare. Staying in touch. We have planned to send out a newsletter just about monthly. So far, we have mostly made that work. A little late this month with the usually busy schedule but we really want to be better at this. Communication is a two-way process though. It really blesses us when we hear from you. Tell what’s going on in your life. How can we pray for YOU? This entry was posted in eNewsletters on March 6, 2018 by jmcbade. 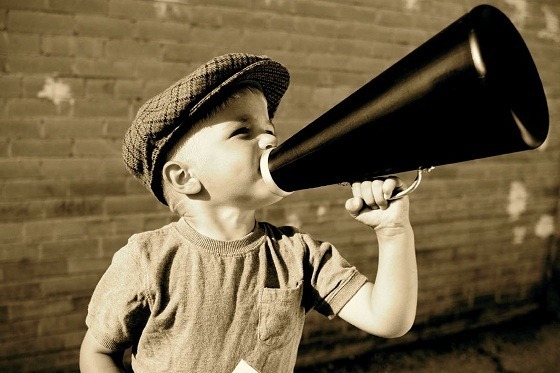 This is a longer newsletter but it’s well worth the read – Good News! 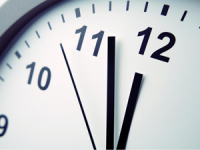 People sometimes have a real problem dealing with the concepts of time. No, I’m not trying to pun here. It’s a real issue for many. No matter if you are trying to get your head around Einstein’s theory of relativity or something as simple as what some call “Déjà vu”, we as human beings bump up against time’s seeming restraints continually. Some find this amusing and write great stories for our entertainment and others wish they could ignore these topics altogether. They complain that the full grasp of the topic is just too much to get your head around. Whenever I teach on things relating to time my translators cringe. It’s hard enough to get everyday English into Japanese let alone something like the subject of time. 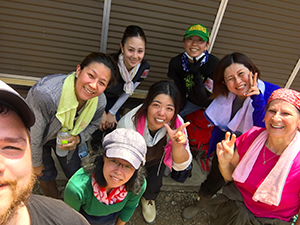 In Japan we labor daily and continually to see people come to a saving knowledge of Jesus Christ and then to disciple them. It’s a long time to get to that point for almost everyone raised in this culture. We have missionaries visit sometimes and they tell stories about 1000s of people coming to Christ and we look at each other as fellow laborer’s here and say, “Um, well we had some one come to Christ this month.” That’s a big deal for us! After maybe a year of working with that person, we might see them make the decision to receive Christ as Savior. It can feel very discouraging indeed. But we are on God’s timetable and in God’s economy. He is looking at each person one at a time. The Bible says; “Just so, I tell you, there is joy before the angels of God over one sinner who repents.” Luke 15:10 I have this friend, Eduardo, whom I met about a year ago who works at Costco here. He is from Argentina and is married to a Japanese woman. They have three wonderful children. Their marriage is in desperate need of prayer, so if you are praying for the ministry here, please include Edwardo in your prayers. I was thinking about ministry here in Japan Friday night as I drifted off to sleep. I was praying for Eduardo because I was to meet with him for breakfast the next morning. I said to God, “Belinda and I have been here for over 12 years now and, yes, many have come to Christ, but not like in other places. And here I am ministering to a man not from Japan, but from Argentina? God, I do want to see him saved of course but… And God interrupted as He reminded me, ‘what is it to you with whom I have you work? Remember Luke 15? Remember all the years I had you working with the Spanish ministry? Remember I told you to minister to whomever I brought “through the door”?’” Ok ,I said, I remember, and I drifted off to sleep. Eduardo was about to give up on his marriage and I was really burdened to meet with him. We talked about a lot of things, but he shared again with me that his mother, who is a Christian, was praying for him and for me! She knew I had been meeting with him. He talks to his mom all the time – good boy! So, towards the end of the meeting, after the Lord had given me much to share with my friend, Eduardo on his own says; “So my mom says even though I sorta’ prayed to be a Christian as a young child, she says I ought to pray with you and make it official. So, do we go to the church or what?” I explained we could do that right there in the restaurant, so he did! 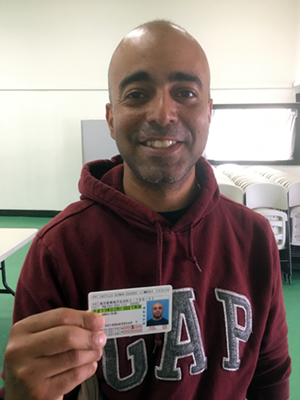 I have written so much in this newsletter about Eduardo and yet I have left so much out about how God used this crazy American whom He sent half way around the world to lead someone from halfway back around the world to come to a saving relationship with God. Even if this whole subject of time and space sends your head spinning, I wanted to share this testimony of how these concepts are trivial to God, but that He, in His plan, cares about each one of us individually. He finds it not a big a deal to use anyone from anywhere to reach anyone anytime for His purposes. Wherever God has placed you for this season, He will use you, as you make yourself available to Him. You don’t have to be a seminary graduate. You don’t have to be anything more special than the next person. He just needs you to be available. Eduardo was looking for someone to listen and to care about him. I think one of the most important roles we can have for God is to be an “ear” for the people who want to talk to Him. Then we lead them to a place where they can have the personal relationship they so desire with God Himself, who is outside of time and has all the resources necessary to reach them. I’m no angel, but I sure am rejoicing that Eduardo has peace with God in the midst of his circumstances now. Please pray for him as he navigates through the circumstances of his marriage, that he will hear Truth and guidance from the very creator of the universe. The proper time and the proper place is right where God has you. For God to put together a team, a time and a place for church planting. This entry was posted in eNewsletters on January 23, 2018 by jmcbade. There is an old and common phrase that people say; “I have some good news and some bad news”. Well, we actually have some good news and… some good news. The rest is just stuff that would weigh us down. We are well aware that to maintain a good relationship with you all, as those who prayerfully support us, we need to keep in contact and, honestly, it’s hard for us because we know we don’t do as good a job at that as we should. We offer our sincere apologies for not keeping in better contact with you. 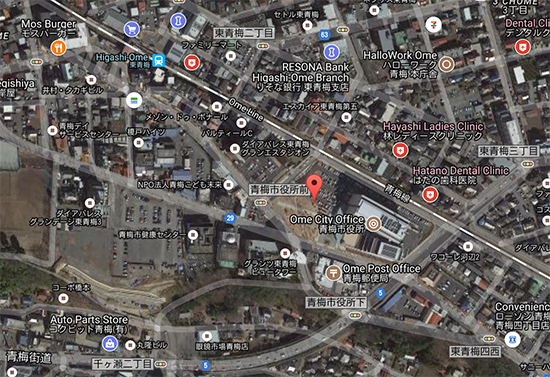 Here is a short quick update on the ministry here in Japan. More to follow soon! It feels like, for us, we go from one busy season to the next with very little break in between. That’s actually good news. We have continually seen greater and greater opportunities to share the message of the “Good News” to the people of Japan. The other good news is we will be in the U.S. for a few weeks come December. 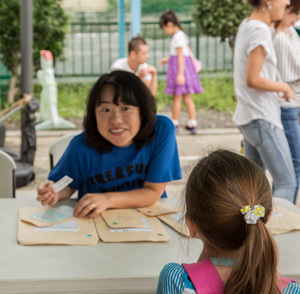 We would really love to meet with any of you who would like to hear more about what God is doing in Japan and how He is using us as part of His plan here. It is an interesting thing that I am the second oldest person here at the church. With age, hopefully, comes some wisdom, right? Well, God, in His Grace and Mercy, has given me the desire of my heart (that He surely placed there) to do more discipleship ministry. Besides with meeting with the men of the church on a regular basis, God has brought several other men, who don’t regularly attend the church, with whom I have been meeting on a regular basis for fellowship, prayer, council and studying the Word. It’s really amazing to be able to do this. I have recently befriended a guy I met at the Costco store. He has “issues at home”, and has really allowed me to pour the council of God into his life. His name is Eduardo. (Yes, he’s Latino!) and he really needs prayer. God knows the details. One highlight of the summer is the VBS we host here. This year, as we often do, we used the Group Inc. curriculum as a foundation for our program. It’s only a foundation though, because everything we do here at Grace Christian Fellowship has to be multilingual. The songs they include in their program are in English, but they also provide music tracks without vocals. This year we, again, translated all the songs into two, and in some cases, three languages. We then used our own church members to record all the vocals. Then I produced and remixed everything down into a version of the song the kids could download. 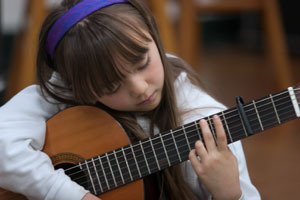 These songs are designed to be really “sticky earworms” , so the kids can really enjoy listening to the songs over and over throughout the year. They stick in all our minds as well, honestly driving us a little crazy, but is all good J Imagine listening to these easily a thousand times as a producer! Oh my! So to give you an idea of the work involved, a typical song can take an engineer 6 to 8 months to produce. I did six songs in a matter of six weeks. I virtually “lived and breathed” these songs for a couple months. You can listen to our work by going to gcfjapan.com and at the bottom of the front page is a link to the songs for listening online or downloading. Enjoy! But I must warn you, these will “stay with you”! It’s all good, as they say, right? God also uses Belinda and I in our English classes. 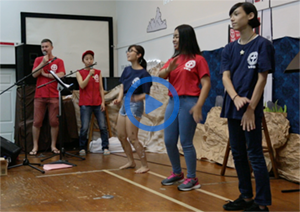 Since we work for ourselves and not as part of an English teaching organization, we have a lot of freedom to make good use of those shareable moments to share the “Good News”. We just keep our “spiritual ears” open and God is giving us more and more opportunities. We will be visiting the U.S. again this year, and this is our opportunity to meet with you! Please write us and let us schedule a time in advance to meet, ok? Please don’t wait until we get there. We always – ALWAYS – have people who want to meet with us at the end of our stay when the schedule is packed. Please know it’s important for us to be able to meet face to face with you. This is one of the main reasons we invest in coming to the U.S. – YOU are as important to us as the people of Japan. No, we didn’t have a baby 🙂 This is one of the other missionaries first children. 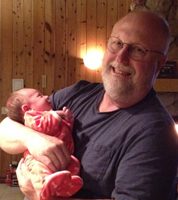 Of course “Instant Grandma!” Our newest member is named “Sage Bouget” So cool. John has been given opportunities to minister to more men, both in a group setting as well as individually. We are continuing to minister to our International school students as well as their parents. God has been faithful in His provision for us to continue ministry in Japan. Always: Wisdom and discernment! – This is an adventure of the cross-cultural kind. For Eduardo’s marriage and relationship with God, and that he and even his wife will start coming to church. For our English students, that God would open their hearts to hear the gospel, and that we would take as many opportunities to share as we are given. For continued opportunities to minister to those God has put around us. For good health as the weather turns colder. The winters are very long here. This entry was posted in eNewsletters on October 21, 2017 by jmcbade. eNews – May 2017 – The world can be a scary place! From John’s Desk – The world can be a scary place! When I consider this passage, I think about it two different ways. On one hand, I consider the Bible and how it prophesies of the coming end of this age. Often when I am sharing the Gospel, people will say to me that every generation has wars and world issues that seem to suggest that “this may be the end of the world”. 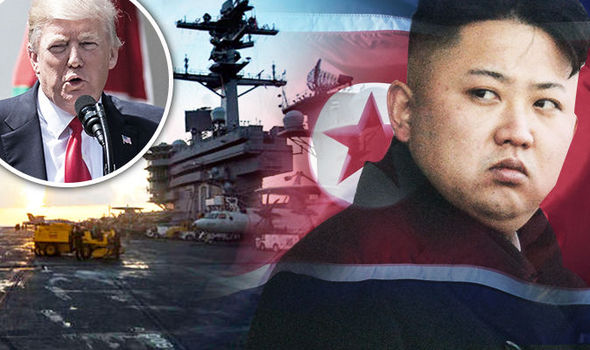 Reactions to the political situations in the US and the saber rattling of North Korea expressed here in Japan are mixed. Certainly it is cause for pause no matter where you live. On the other hand, without diminishing the fact that I do believe we are in the “End Times” the Bible talks about, I think there is something we should consider about mankind that I often hear while sharing the Gospel. Yes, mankind has, throughout history, always been plagued by sin. We have always done terrible things to each other, and that should give us pause. The Truth that matters, though, is that none of these events, or our human condition, catches God by surprise. From before the foundation of the world He has had a plan. We need to keep looking to God for the Hope we have; that He is doing a redemptive work that is beyond the belief of the man who does not know the Grace of God. Ministry at home: This year started off with many family ministry needs with the passing away of John’s stepfather and then his mother. 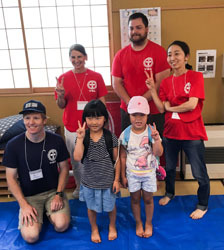 Ministry in Japan continues: Serving in Japan 12 years now! Belinda continues to minister at the GCIS school. John continues with things Web, IT and the Worship ministry. VBS and recording is coming soon. Mother’s Day: We “adopt two wonderful mom’s for brunch. Ministry inside the church: Worship ministry is more than Sunday mornings. It’s discipleship throughout the week. Ministry outside the church: English teaching is tent making. 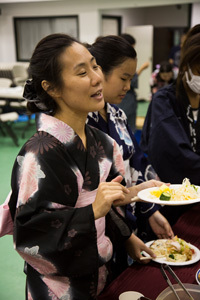 Japanese culture and the invitation process. Here comes summer! 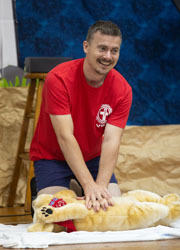 : VBS reaches more than children. It reaches whole families. You can be involved too: There are many ministry opportunities here both short and longer term. Prayers: List of things you can pray for concerning the ministry here. How to support: Some slight changes in how to support us and the ministry here. One of the really huge challenges for us is that we still have family in California. 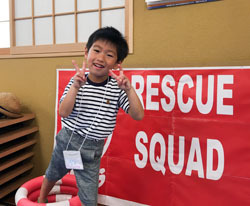 After serving here in Japan almost 12 years this summer, our family has truly been great with their acceptance and support of our call to the mission field. That being said, they still look to us for support and understanding for them as well. 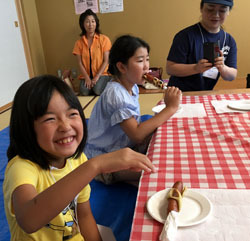 Since the beginning of this year, our focus has had to not only be on the work that God has us doing in lives here in Japan, but also on those at home. 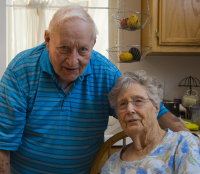 Both my mom and her husband, Frank, were hospitalized last December, and were then admitted to an extended care facility. This was the beginning of a series of events that required our attention and also brought many ministry opportunities at home. In February, Frank passed away. 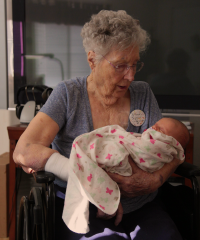 Last month, my mom, 92, passed away. I knew this was coming, as her health had been declining over the months. My mom and I were very – very close. I had prayed many times to God with a deep feeling of sadness that I would not be able to be there for her on the horizon of her passing away, since I was serving so far away in Japan. Well as it turns out, although I was farthest away, I was the only one who was actually able to be at her bedside before she passed. I had been notified about her health becoming critical on a Friday. I first considered leaving on the following Tuesday, but I felt a strong prompting to fly out Monday instead. Because of that, I was able to spend a wonderful day with her on Tuesday and then again on Wednesday morning. She passed away on Wednesday while I was at her side. God heard my prayer and allowed me the privilege of being with her. Throughout the process of making arrangements for the memorial service and taking care of all that comes with a death in the family, we had countless ministry opportunities. Everyone in the family had a part in the service, and I had the privilege of sharing the Gospel in a message. 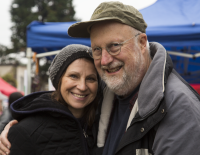 With all that going on in my family, Belinda also had her heart turned towards home as her father underwent surgery for colon cancer. They caught it early and the surgery was completely successful with no need of radiation or other treatment. We were able to visit them while we were in the U.S. and he is doing very well. As most of you know by now, Belinda is the administrator of the small international school here at Grace Christian Fellowship. The year is always filled with events, but it feels like they increase as the year comes to a close. One of our students, a high school senior missed almost half of her first semester this year because of deep depression. 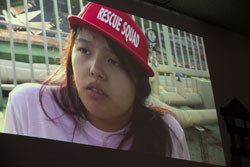 Through much diligence and prayer support, she was able to return to school and will be graduating this June as planned. She has been one of those special relationships God brought to us to minister to here. Another blessing of ministering through relationships happened on Mother’s Day. 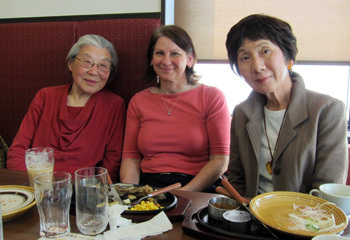 Two of the moms in our church, one divorced and the other with a husband who was relocated to the northern part of Japan almost 10 years ago by his employer, were left on their own on Mother’s Day. Their children were all off doing other things, so Belinda and I “adopted” them and took them out to lunch. We shared a wonderful time together in fellowship and getting to know each other more. Sometimes Jesus calls us just to be there for others and to love on them! Besides the school, the worship ministry here is far more than just playing songs and leading the congregation in praise. Every member of the worship team is someone to disciple. Roles change and members come and go. For example, one of our primary worship team members is pregnant with her first child, so she will be focusing on being a mom soon. Belinda has been able to step away from the sound and media ministry, for the most part, and is now looking to focus on women’s ministry. We have a new sound person whom I have been training, and we have a new media person with whom Belinda and I both are working. I am also training up a new vocalist. Her husband plays guitar a bit. He’s next *grin*. Some of the ways we are able to reach out to people are: Teaching English classes, maintaining a church website, handing out gospel booklets, and a yearly Vacation Bible School, as well as through the divine appoints God sends our way. 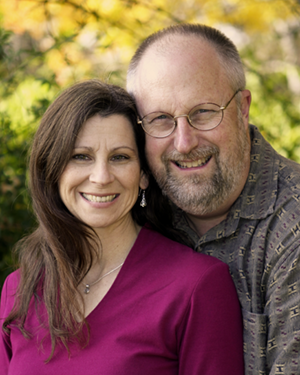 Besides what goes on at Grace Christian Fellowship, Belinda and I both continue to teach English part time. It not only helps pay the rent, but I love how it blesses us with interaction in the community God has placed us in. 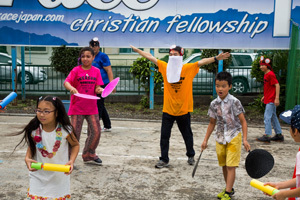 Belinda and I have both been able to invite people from our classes to visit GCF for Sunday services or special events. 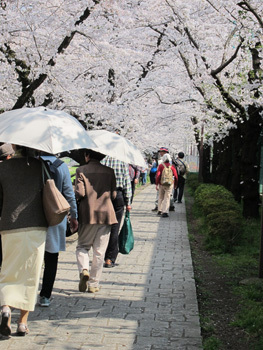 In the Japanese culture, people will not come to church unless they are personally invited. John works hard at keeping our Web presence up and current, and that has been bringing some in the door – most often people from the nearby Yakota Airforce base, but there are other people in the community looking for a church as well. We have also been, as a church, going door to door in the surrounding neighborhoods with gospel booklets, handing them out to each neighbor or leaving it in the mailbox. Still, a personal invitation is key. As the school year winds down, we will shift into summer mode. With that comes short- term mission trips; sometimes groups visiting from abroad and, one of the really extraordinarily fruitful events, VBS. 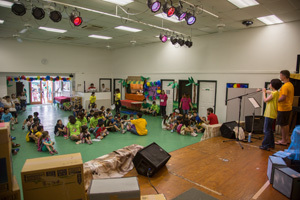 Each year we either create our own curriculum, including all the media and music, or purchase a pre-made VBS program. Either way, the songs must be recorded in both English and Japanese, which John has been doing every year. It’s always a huge undertaking, but worth the effort. Ministry happens with those doing the work of preparation, as well as those who come to the VBS event. In Japan, as elsewhere, it seems the most reachable are the young people. These precious kids come to VBS and, of course, their parents come with them. 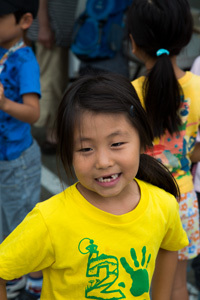 Many of our members began coming to the church because they had brought their children to the summer VBS event. You can be involved too! There are many opportunities (the harvest is great) and few workers. This is true throughout the world, and Japan is no exception. Pray! – and pray some more. When you have a prayer investment in others, you receive a reward also. God will bless you and He will show you ways to support the work you hadn’t thought of before. Come and serve short term this summer. All the things that you do in church in the U.S. are pretty much things you can do here too. All the things we do in short term missions we also do some form of at home; building teams, ministering and encouraging one another, stepping out in Faith, sharing the Gospel and encouraging new friends. It’s the whole package that you can bring home in your heart. 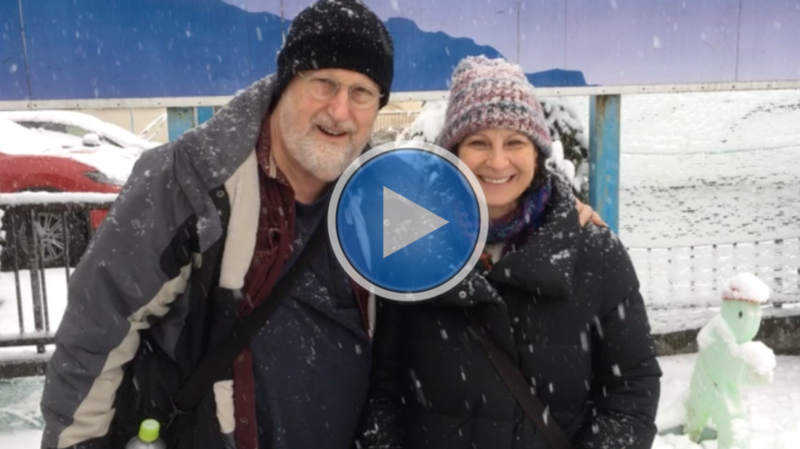 Belinda and I started with short-term missions and God continued to move our hearts abroad. But even if you don’t become a full time missionary, serving on a short-term mission trip is a valuable experience. Invest in the kingdom financially. I heard a statistic yesterday that if you totaled up all the support that the government provides for peoples’ needs through entitlements and other private programs, the private sector portion is more than 60% of the total aid to people in the US. Here is the difference though; with your focused support, you know where your money is going – for the work of God’s desire that all would hear and believe in His son. In that effort, all kinds of needs are being met throughout the world. That’s awesome! Belinda and I want you to know that over the last 12 years you have been praying, encouraging and supporting us, and it does make all the difference in the world. Not just in this world that is falling away, but in the one that is to come. 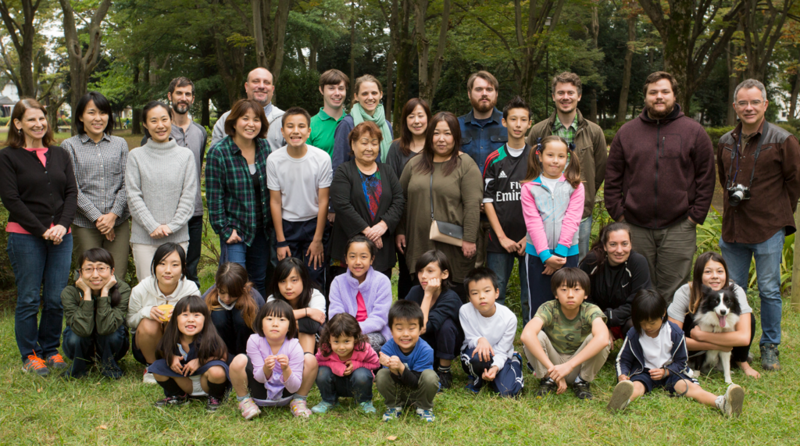 We are honored and blessed to be some of your “hands and feet” here in Japan! A fresh vision for God’s work here. Belinda plans to lead a 6 week women’s Bible study this summer; pray for women to be committed to come each week. That our personal relationship and daily walk with God would continue to grow and that we would remain focused on the daily tasks God puts in front of us without growing weary or discouraged. Belinda’s strength and health as the school year comes to a close and the work load increases. Continued language learning progress for both of us. Again, we want to thank each of you for all of your prayers and support over the years. Our financial support process has changed slightly, so if you would like to give, please click on the support link to find out how. This entry was posted in eNewsletters, Uncategorized on May 24, 2017 by jmcbade. Is God Talking To You? This entry was posted in eNewsletters on March 30, 2016 by jmcbade. Working away, as diligent servants. Your face to the work and your heart filled with the desire to see God’s work prosper. Sometimes we are trying so hard we can even get myopic about what we are doing and what we see. 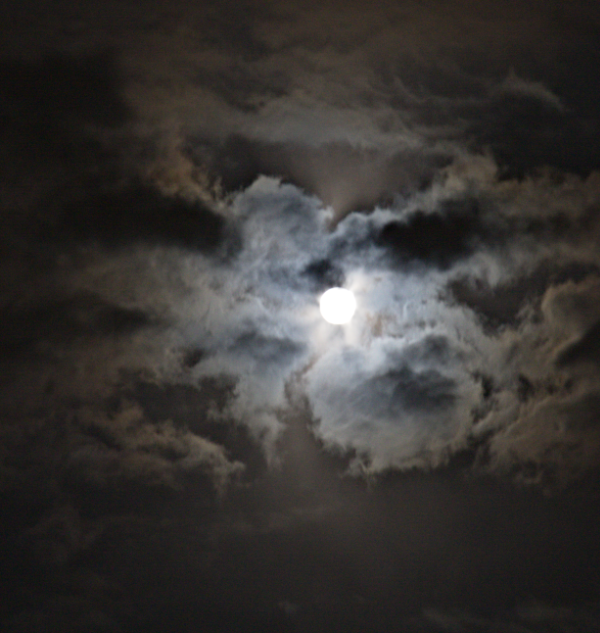 This entry was posted in eNewsletters on September 19, 2014 by jmcbade. 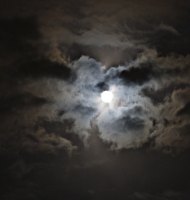 This entry was posted in eNewsletters on April 6, 2014 by jmcbade. I don’t know if you read this verse the same way I do, but I would like to share what you might find as a unique perspective on what this means. This entry was posted in eNewsletters on February 25, 2014 by jmcbade.